When I started tying flies I didn’t know what I was getting into. After watching some fishing videos that included segments on tying, I decided to take the plunge. I picked up some supplies and a $10.00 vice at the White Elephant, a local discount hunting, fishing and toy store. 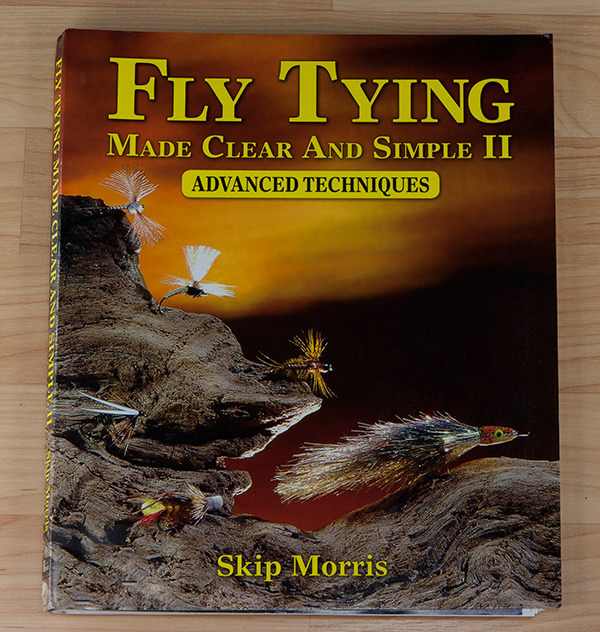 I also got a copy of Skip Morris’ original book, Fly Tying Made Clear and Simple. Then I went home and worked my way through the book, starting at page one – ending on page 80. I tied all 15 of the patterns with excitement and wonder. They may have been the ugliest examples of the patterns, but they were mine. And they caught fish. I remember those nights with great fondness. During those weeks spent with Skip Morris, I learned more about fly tying than in any other time of my life. 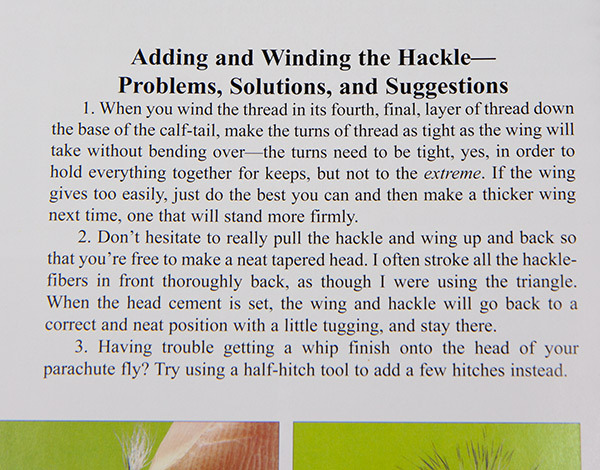 So imagine my excitement when, as I cruised the library, I saw his new book, “Fly Tying Made Clear and Simple II.” I brought it right home and devoured it. There are 18 flies with full instructions in this volume. They cover Nymphs, Streamers, Emergers and Dry Flies. Additonal pattern recipes are listed in the back. It follows the same logical, easy to follow format of the original. 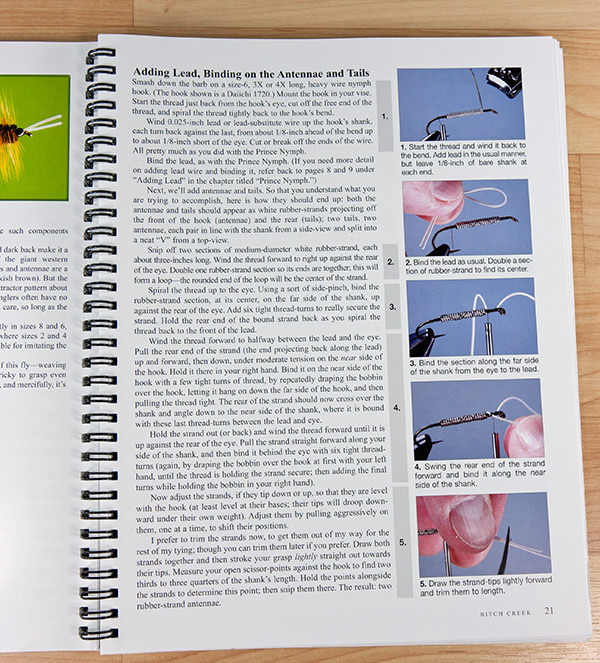 Start with a picture of the finished fly, a description of the history and use of the fly, the recipe in a shaded box, then step by step instructions of the details of tying the fly. After each step, if there are common problems at that stage, he pauses the instructions to review things that might cause confusion or mistakes. It is such a great idea to fix the problem right then, not after you have finished the fly. It really is just like having an instructor looking over your shoulder. 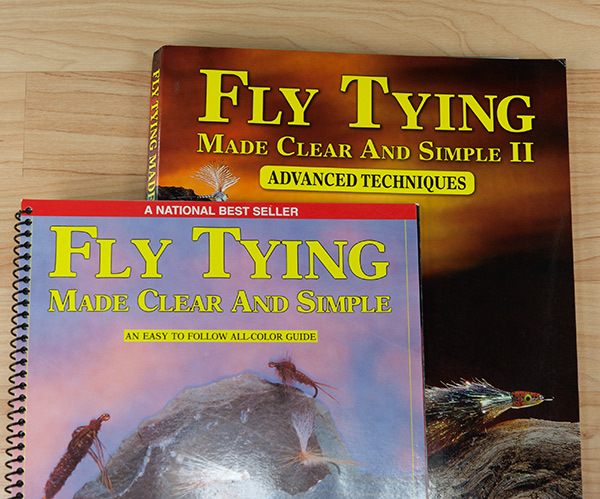 For people who like a curriculum, a clearly laid out path of instruction, these two books will start you on the road of fly tying. How far you go will depend on you and what your goals are. But if you work through these two books, I believe you would feel comfortable tackling any fly you want. You won’t be a master tyer, but the basic foundation will be laid by a master teacher. Get the books. Work through them. Have a great time. Treasure your first few flies. Save some to look back upon to mark your progress. You will be amazed how quickly you improve.